This is my first piece of academic writing in 22 years. I spent many, many hours reading, researching, thinking, writing and wondering whether I was on the right track. In the last ten years, the lives of American teenagers have been regulated by their parents’ fears. Teenagers have been restricted from participating in public places so they have harnessed the affordances of technology to communicate, socialise and explore the world. Like their parents before them, teenagers want to be with their friends and this increasingly happens in a digital ecology. Many adults are fearful of the new technological spaces inhabited by young people and Danah Boyd attempts to calm their panic by explaining the social lives of networked teens by compiling eight years of qualitative and ethnographic material into an accessible book. In high school during the 1990s, Danah Boyd was fascinated by technology and spent time exploring the wider world in chat rooms and using bulletin boards. For the past decade as an academic, Boyd’s research has focused on how young people use social media in America. Boyd has drawn upon her experiences and academic knowledge to explain the relationship teenagers have with networked environments. With a broad audience in mind of American parents, educators, journalists, students and librarians, Boyd has chosen an appropriate writing style for her intended readership, to describe her research and convey the voices of the young people she interviewed. Boyd cites scholarly literature and academic ideas to support her ideas and arguments. Boyd makes it clear that her study relates to the culture of the capitalist society of the United States of America. While this does not exclude a wider readership, the reader must acknowledge and take care not to generalise her findings to their own country. Currently Boyd is Principal Researcher at Microsoft Research and the founder of Data & Society Research Institute, both commercial enterprises. Boyd (2014, p. 6) uses the term social media to “refer to sites and services that emerged during the early 2000s, including social network sites, video sharing sites, blogging and microblogging platforms, and related tools that allow participants to create and share their own content”. This interpretation is shared by De Rosa, Cantrell, Havens, Hawk & Jenkins (2007). These tools are an integral part of the world for twenty first century learners. Teenagers are using technology to socialise and many are also using it to learn. Mimi Ito says in the video Rethinking learning: The 21st century learner (2010) that the learning happening outside of school matters to young people and schools need to support informal and formal learning. Schools have an important role in developing the skills required for participatory media. According to Eschet (2012), digital literacy requires a variety of complex skills and not just the technical skills to operate devices. Social media has provided teenagers with new ways to participate in public life and this according to Boyd is what concerns anxious adults. Boyd contends that young people have leveraged social media to create their own publics. Networked publics are “ (1) the space constructed through networked technologies and (2) the imagined community that emerges as a result of the intersection of people, technology and practice” (Boyd, 2014, p. 8). Restricted freedom and the widespread use of social media, has resulted in social interaction that previously happened at a shopping mall, friend’s house or a park moving to a virtual space. Boyd identifies four affordances that are not new but provide new challenges when they impact on each other in networked publics: persistence, visibility, spreadability and searchability. In an in informative and in depth introduction, Boyd clearly states her reasons for writing the book, introduces the concept of networked publics and explains the research method she used. Qualitative data and ethnographic material was collected from 2003 to 2012 and interviews were conducted between 2007 and 2010. Boyd’s lack of hard data has been supplemented with copious notes that reference previous academic studies and these can be interrogated further using the extensive bibliography. The topics of identity, privacy, addiction, danger, bullying, inequality, and literacy are addressed in chapters that are best read consecutively but also make sense if read independently. Social media has changed dramatically over the past ten years; consequently some of the examples from her early research may be unfamiliar to some readers. This doesn’t detract from Boyd’s intent and is best explained by the author herself, “the examples may feel antiquated, but the core principles and practices I’m trying to describe are likely to persist long after this book is published” (Boyd, 2014, p. 27). Bullying is a problem in schools and society. The affordances of technology have provided another avenue for bullying and a bigger audience. Like Boyd, Kowalski, Limber, & Agatston (2012) caution parents against seeing technology as good or evil and encourage them to educate rather than punish. They go on to say engagement with social media provides teens with opportunities for identity development and self-exploration. This advice is echoed by Boyd (2014, p. 152) “we can certainly make a concerted effort to empower youth, to strengthen their resilience, and to help recognize when they are hurting”. Online safety should be discussed openly with young people; limiting access to social media can be counterproductive. Bullying, drama and attention seeking can be confused by collapsing contexts. Popular reality television has normalised attention seeking, celebrity and drama. Attention, positive or negative, can be easily obtained using social media. Boyd asserts that teens and adults contextualise behaviour on social media differently and this can lead to conflict. Where adults see bullying; teens see gossip, rumours, attention and pranking as drama. Boyd (2014, p. 138) and her associate Alice Marwick defined drama as “performative, interpersonal conflict that takes place in front of an active audience, often on social media”. The technology isn’t to blame for hurtful gossip or rumours “rather, someone seeking to spread a message can easily leverage the affordances of networked publics to do so” (Boyd, 2014, p. 145). The media, parents, teachers and community leaders complain that teenagers share too much online. Boyd calms this moral panic by explaining how teenagers value their privacy offline and online but in a different way than adults. Adults may be wary of government surveillance but teenagers are worried about parental surveillance. In networked publics the technical affordances of persistency and searchability complicate matters of privacy. Comments can be taken out of context or accessed by an unintended audience. Often the unintended audience are well meaning parents. Overprotective parents can limit their child’s agency to control situations online. Boyd (2014, p. 76) asserts “privacy doesn’t just depend on agency; being able to achieve privacy is an expression of agency”. Despite these concerns a Pew Research Center report has found 60% of teen Facebook users keep their profile private and are confident in managing their settings and only 5% limited what their parents could see (Madden et al., 2013 section 1- 5). This statistic seems surprising but could be explained by Boyd’s explanation that teens switch tools or encode content to reclaim agency and avoid parental surveillance and intervention. Social media privacy settings can be difficult to manage. While Boyd focuses on teenagers, it is important for both adults and teenagers to develop the skills to manage complicated privacy settings. Generational differences have been used to explain how people of varying ages understand technology. Prenksy (2001, p. 1) argued “as a result of this ubiquitous environment and sheer volume of interaction with it, todays students think and process information fundamentally differently than their predecessors”. He named these new students digital natives and believed that digital immigrant teachers were at a disadvantage. Boyd believes the digital native versus digital immigrant debate is a distraction and being literate in a networked age is difficult regardless of age. “Being exposed to information or imagery through the internet and engaging with social media do not make someone a savvy interpreter of the meaning behind these artefacts” (2014, p. 177). The findings of Helsper (2010) support this view and suggest older generations can operate at the same level as younger people. Stoerger (2009) also warns against over generalising the capabilities of different generations. Despite dismissing the metaphor, Boyd does make references to some parents using stereotypical descriptions. Boyd insists that educators have an important role to play but is critical of formal educational settings and the priorities placed on digital competencies. Today most jobs require some form of technical knowledge and employers are demanding twenty first century work skills. “If competence means ‘adaptation’ then we must educate for, first, openness, and second, a critical perspective that facilitates appropriate and productive choice within this openness” Haste (2009, p. 208). Boyd and Haste both agree that formal learning has been slow to educate for competencies that are perceived by many as recreational. Boyd doesn’t offer any advice on how to rectify this situation and seems somewhat accepting of it. Downes also talks of a feeling of acceptance from teachers “that their students would be the source of greater educational innovation and change, revolutionizing high schools as well” (2012, p. 14). Boyd (2014, p. 181) notes the importance of media literacy and the importance of critical evaluation of messages, “fewer intermediaries control the flow of information and more information is flowing, the ability to critically question information or media narratives is increasingly important”. The positive uses of Wikipedia are addressed but greater discussion of the sophisticated strategies that social media companies employ using algorithms and personalisation of search results would have been beneficial. Perhaps Boyd was impeded by her current role at Microsoft Research or considered it was beyond the scope of the book. The documentary Generation Like (2014) addresses data mining, advertising and the manipulation of social media by companies in greater depth than Boyd. An awareness of these practices is essential for digital literacy across generations. The affordances of technology present dangers and challenges that can cause moral panic. Boyd believes technology is not the problem or solution and this is supported by her observations and interviews. “Reality is nuanced and messy, full of pros and cons. Living in a networked world is complicated” (Boyd, 2014, p. 16). Generational debates are a distraction; both adults and teenagers need be digitally literate and master technical competencies. Using the voices of teens and broader research, Boyd has clearly described why teenagers living restricted lives leverage social media to interact with their peers. Although the observations made by Boyd are specific to the culture of the United States of America, this does not prevent adults from Australia or other western countries from gaining useful insights into the use of social networks by teenagers. Boyd has provided some reassurance for adults worried about youth in a technological ecosystem that is constantly changing. After reading this book adults should have the confidence to start conversations with the young people in their lives. Technological and societal change is inevitable, teenagers must be given agency to participate and learn in this evolving digital information ecology so that they can become critical twenty first century learners and citizens. Kowalski, R. M., Limber, S. P., & Agatston, P. W. (2012). Cyberbullying: Bullying in the digital age. Retrieved from EBL database. Based on my reading of Matthews (2009), Lazaris (2009) and Hofschire & Wanucha (2014) and King (2012), I chose to evaluate the website of a public library using the following set of criteria for effective library website design. Hobsons Bay Libraries homepage has a clear grid display and visitors can see at a glance what the library has to offer. The library logo and branding incorporates the pleasant colour scheme of the council logo. Directly below the logo is a prominent search box for the catalogue, website and Google. This search box is available on every page of the library website. The drop down menus, with descriptive headings, reveal a detailed breakdown of the library’s collections and programs. A side bar allows other entry points with the heading “I want to…” From here patrons can quickly find the hours, catalogue, renew books etc. Quality photographs illustrate the homepage and book covers promote aspects of the collection. The excellent use of photographs and book covers continues throughout the website along with other visual cues such as logos to direct patrons to collections and services. The website is responsive to mobile devices with a simplified tabbed version on the mobile phone and the option to switch to the standard view. A dedicated app would enhance the mobile experience. Different patron groups are catered for with a children’s page that utilises bright colours and a youth page with a darker, edgier look appropriate for their audiences. Book groups, home library service and other languages are also catered for but with a plain look. These areas could be made more attractive, possibly with a blog structure. User interaction is encouraged via social media and more traditional modes. These channels also extend the reach of the library into the community. The icons of Facebook, Twitter and YouTube are displayed clearly so patrons can view them or choose to follow them. Looking at Twitter I found that the library also has an Instagram account. Instagram’s use is growing so it would be beneficial to promote this option with an icon on the homepage. Most of the communication was one way with the library promoting events and services. Management should investigate some new strategies for engaging with their patrons using new media. According to my set of criteria the library website is well on its way to creating a positive customer experience and could be improved further by the library listening and engaging with their patrons and the community. Hofschire, L., & Wanucha, M. (2014). Public library websites and social media: What’s #trending now? Computers in Libraries, 34(8), 4-9. King, D. L., &American Library, A. (2012). Running the digital branch: Guidelines for operating the library website. Chicago, IL: American Library Association. Mathews, B. (2009). Web design matters. Library Journal, 134(3), 24-n/a. Although the video Building Academic Library 2.0 is aimed at academic libraries, there is valuable advice for other library sectors. As a teacher librarian at a secondary school I found the following five key pieces of advice by Meredith Farkas applied to my situation. Screencasting is excellent for creating “how to” guides. I currently use screencast-o-matic to produce my screencasts. Animoto is a great tool for promoting aspects of the library collection. Colleagues of mine use it to make book trailers. I would like to explore Animoto in more detail for my library. I like the idea of combining all videos created by the library on YouTube. Curation tools can improve access to online material. I have used Scoop.it for VCE English text resources and I am about to investigate curation tools in more depth for my INF506 assignment. It is important to provide a variety of resources. This is important in schools where students have diverse learning needs. To appeal to different audiences it is necessary to promote collections and services with a combination of technology, posters, brochures, written guides and printed booklists. Farkas (2007) said “We don’t have to get it perfect”. This piece of advice is reassuring and I would like to share it with my colleagues. Too often I put off doing something because I am not satisfied that it is perfect and then it never gets done. My new mantra will be to take action, evaluate and make changes. This is an area I would like to improve in my work situation as knowledge is currently scattered with library staff spread over different campuses. Policy, procedures and training documentation could be shared using Google Drive or perhaps a wiki. My colleagues and I could share bibliographies, booklists, teaching ideas and more. Time is always the enemy but it is essential in developing competency with web 2.0. Professional Learning is valued at my school so library staff could focus on certain web 2.0 tools. Staff should be given the opportunity to demonstrate tools at meetings and encouraged to collaborate on projects. For my scholarly book report I chose It’s Complicated: the social lives of networked teens by Dana Boyd. This book appealed to me because I have followed Boyd’s blog and read articles by her in the past. I work as a teacher librarian in a senior secondary school so I want to explore the relationships teenagers have with technology and social media further. The documentary Frontline – Generation Like is a thought provoking look at how teenagers use and consume new media. Teenagers tell the world what they think through likes, retweets, views and follows. 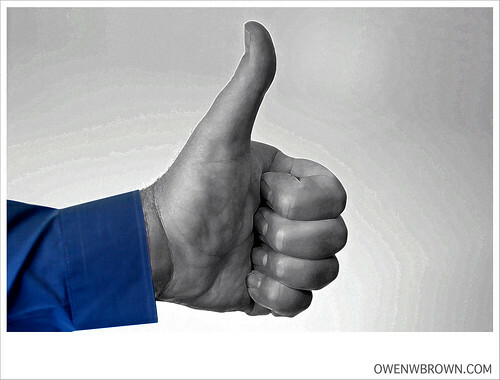 Companies are able to turn “the currency of likes turns into real currency”. Companies today believe the consumer is now their marketer and young people can sell a product for them and they employ complex marketing strategies to exploit this. Danah Boyd says in the documentary “Young people want attention and want validation and that’s not actually new” however the audience they can reach is much greater. Many of the teenagers interviewed speak of feeling empowered by using web 2.0 technologies. Some, such as Tyler Oakley understood that big business benefited from their activities and he used this to his advantage, but others were oblivious. I don’t believe this type if thinking is confined to teenagers. While some adults are suspicious of the ways companies such as Facebook and Google use their data, others do not give it a second thought. Educators have an important role to play in teaching young people how to use social media safely and to question their relationship with it. I look forward to exploring this issue further throughout my studies.